If you’re venturing through South America, chances are Bogotá is on your list of cities to visit. Nestled among the Andes peaks, Colombia’s capital is renowned for its art, parties, and colonial architecture. 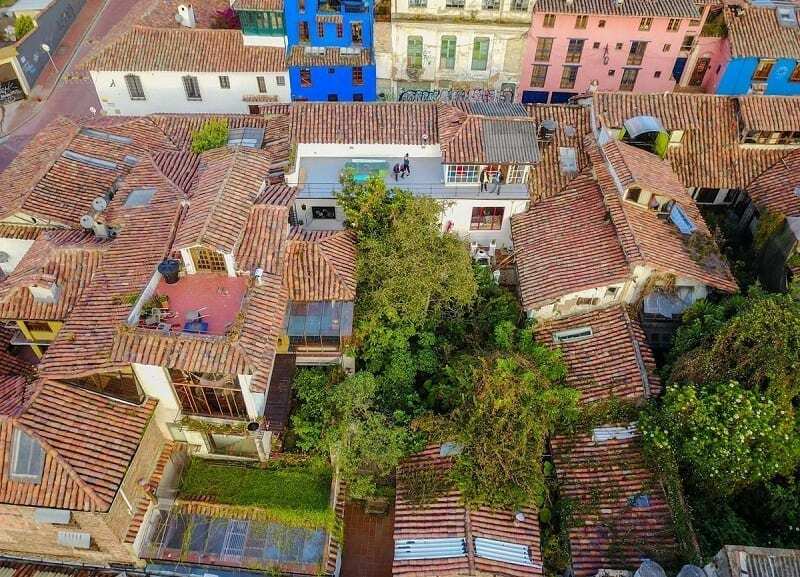 The city’s urban charm has seen it grow rapidly in popularity in the recent years, catering for travelers seeking a modern and historic blend of Colombian life. 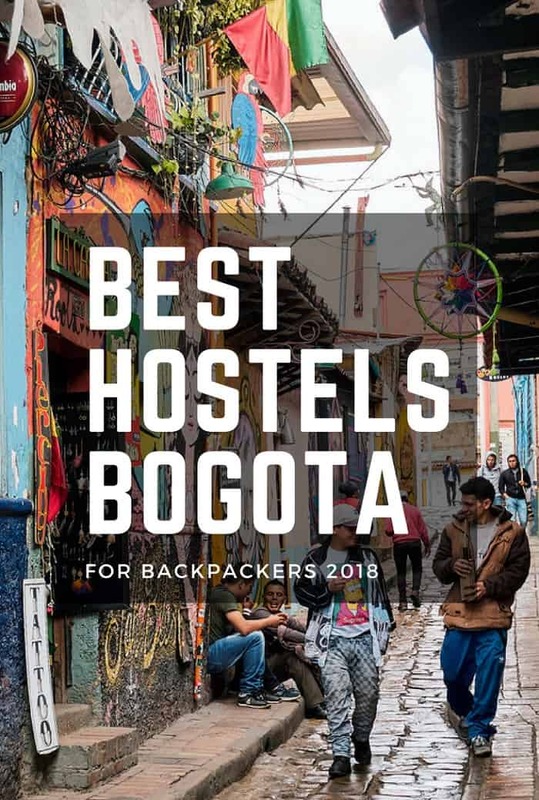 We’ve narrowed down a list of the best hostels for backpackers to stay in Bogotá. Going to Medellin as well? 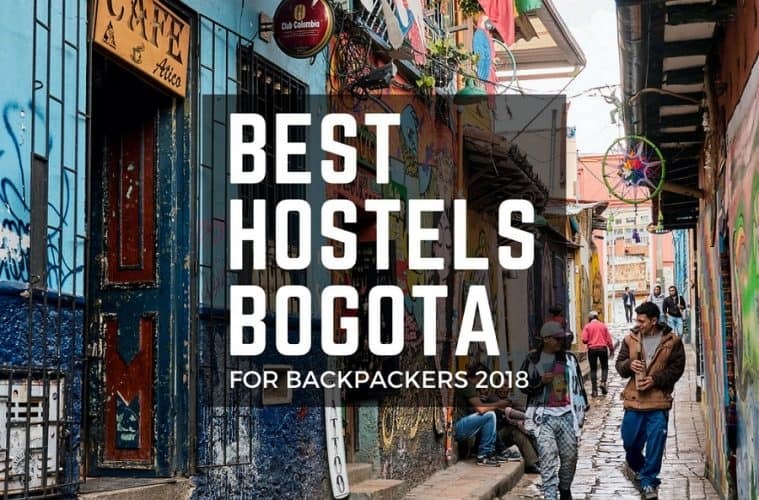 Check our backpackers roundup of Best Hostels Medellin! 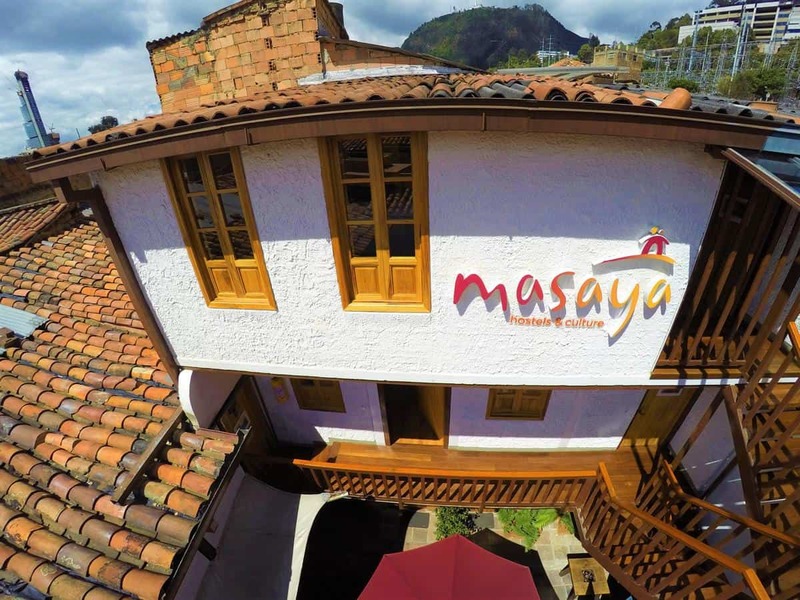 Immerse yourself in Colombian lifestyle at Masaya Hostel, a spacious house set in La Candelaria, treating guests to a real South American experience. 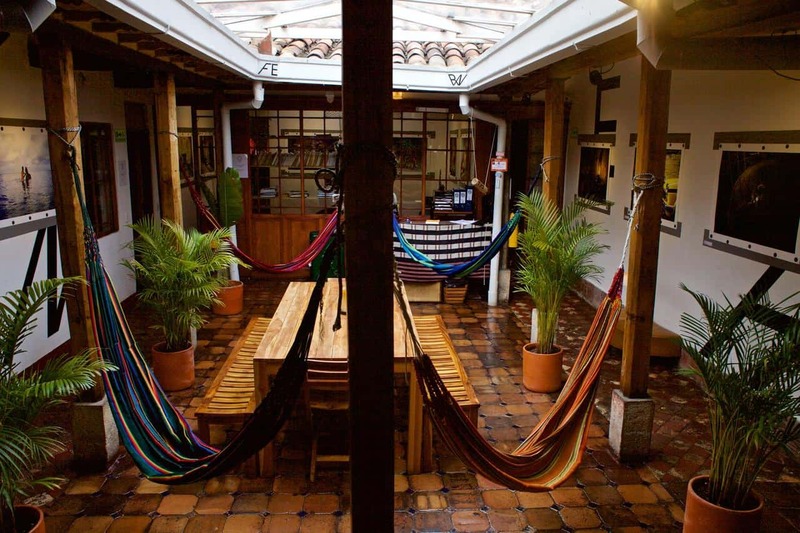 Three large patios line the hostel, offering space to stretch out and sip on a cool drink. 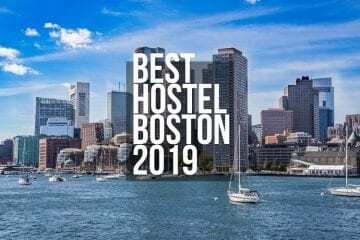 Three common areas — complete with a pool table, ping pong table and board games — make the hostel a great place to meet other travelers and start a little friendly competition. The hostel also has a packed agenda, offering weekly events celebrating Colombian culture in the form of music, cooking classes, and salsa. A big promoter of international talent, be sure to check out the talent exchange at Masaya Hostel, where backpacking musicians and performers can stay free for a night by playing for hostel guests. 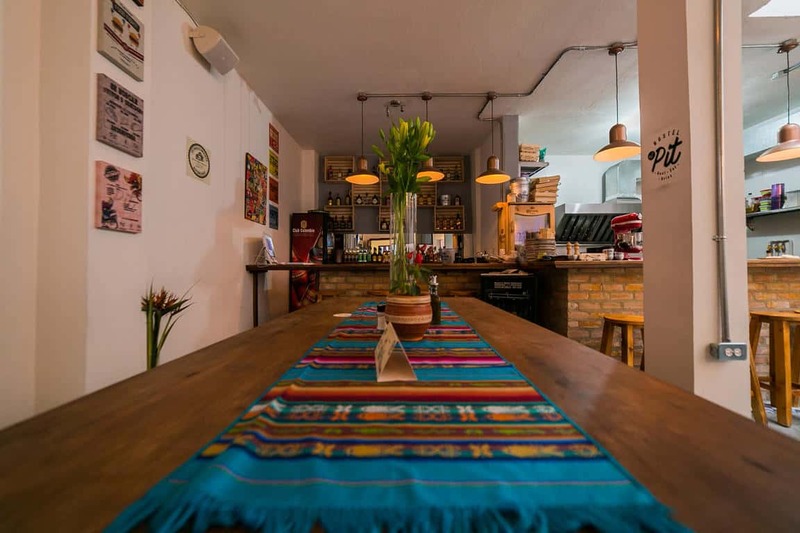 Breakfast is included in the price for private rooms and serves up eggs, arepas (traditional Colombian maize snacks), cereal, fresh juice and of course, Colombian coffee. A vegetarian restaurant is located next door to the hostel, offering a tasty menu for non-meat eaters. 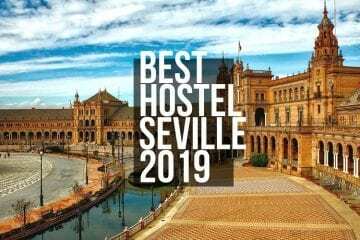 An effortlessly cool hostel, 12:12 is a safe and sociable place to stay, found in the G Zone — best known for its cuisine and liberal attitudes (it’s home to the largest population of LGBT residents). 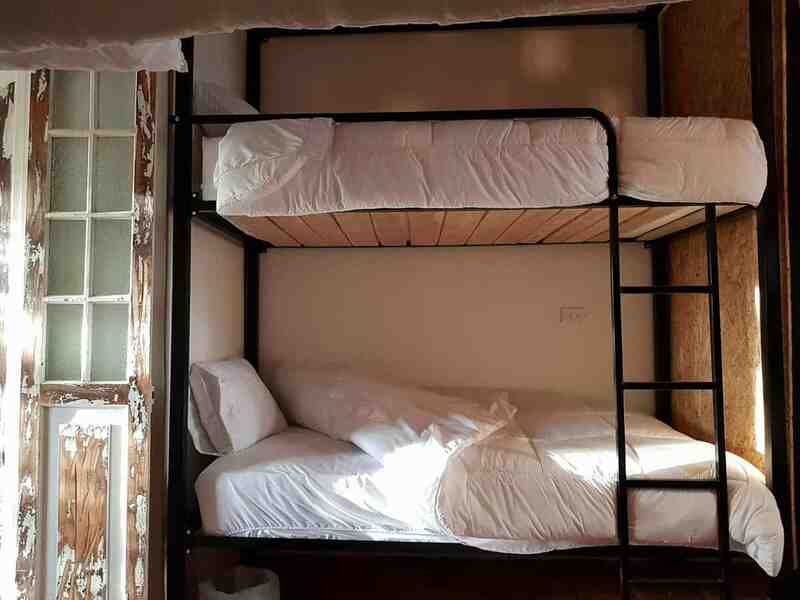 The hostel has eight rooms, identifiable by their unique color, illuminated by natural light during the day and transformed into a snug den with blackout curtains at night. Elsewhere, a selection of communal spaces provide guests with the opportunity to strike up conversation with one another. The chic terrace has an extendable marquee to ensure travelers can continue mingling whatever the weather. The reception area walls are lined with bicycle frames and the covers of famous books, creating an artistic aesthetic that immediately makes anyone feel at home. 12:12 also encourages the sharing of experience with a book exchange, allowing guests to trade in their novel for someone else’s. A black and white striped kitchen and spacious dining room allow guests to eat together, study, or simply soak up the hostel’s energy. Additional perks are free computer use, laundry services and a travel desk. 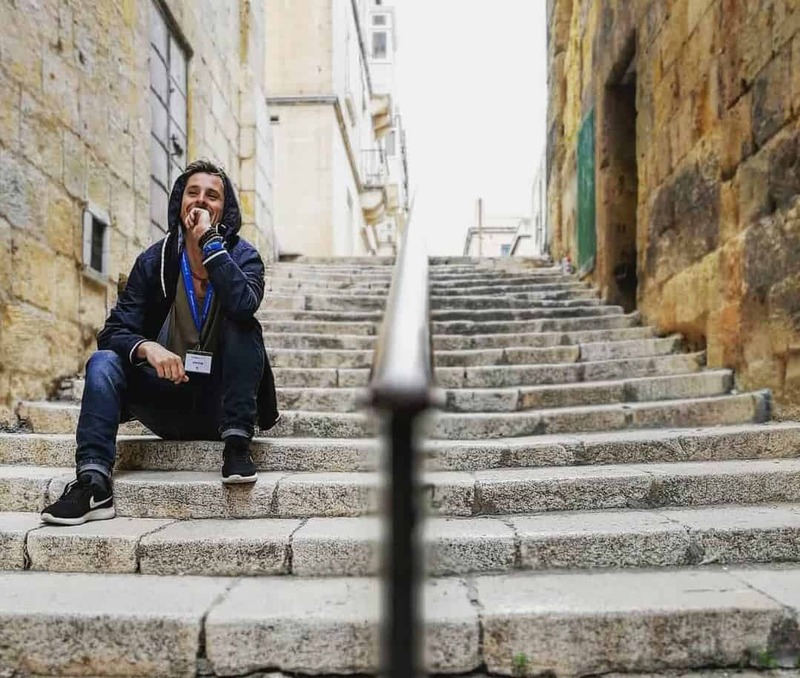 Dedicated to celebrating travel and photography, this hostel aims to create a space where people can share travel stories and tips while learning more about the art of photography. The hostel is so committed to the cause that there’s a photo gallery in the building where guests can browse and purchase amazing shots of the world. 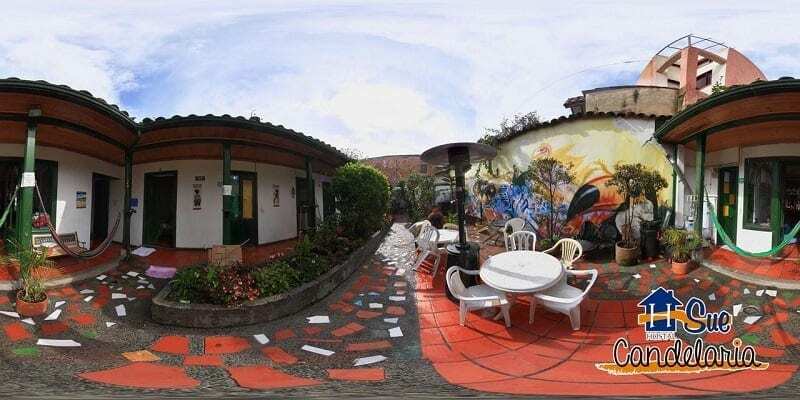 Fernweh Photography Hostel is located in downtown Bogotá, three minutes away from El Chorro de Quevedo where Bogotá was founded, and only 10 minutes away from museums like Museo Botero and Museo del Oro. 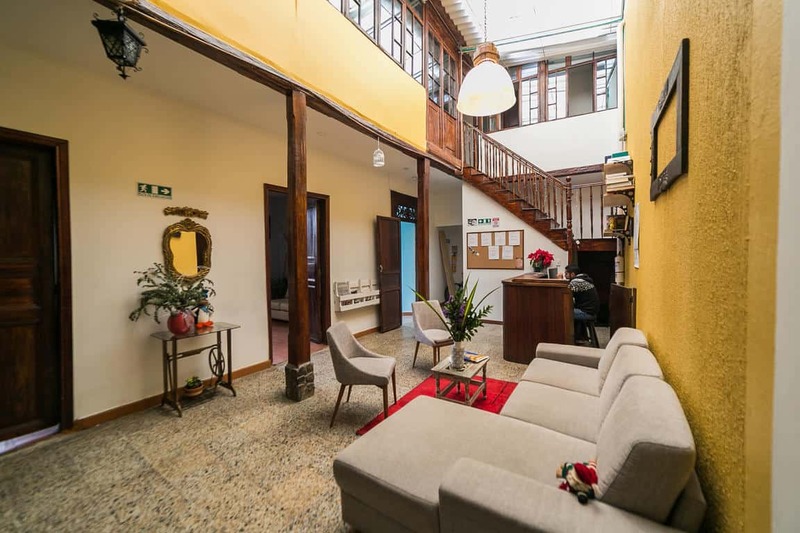 The hostel has a particularly calm vibe to recuperate in but when you’re ready to be active again, the central mountain Monserrate is easily accessible and has breathtaking views of the busy landscape below. Complete with three dorms and two private bedrooms, the feather beds and thick blankets guarantee a good night’s sleep for any backpacker. 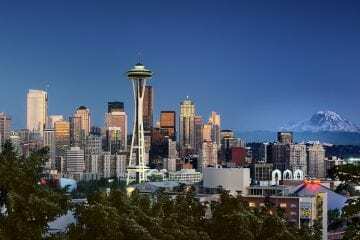 Travelers can pay by card or with cash on arrival, and there is no curfew. 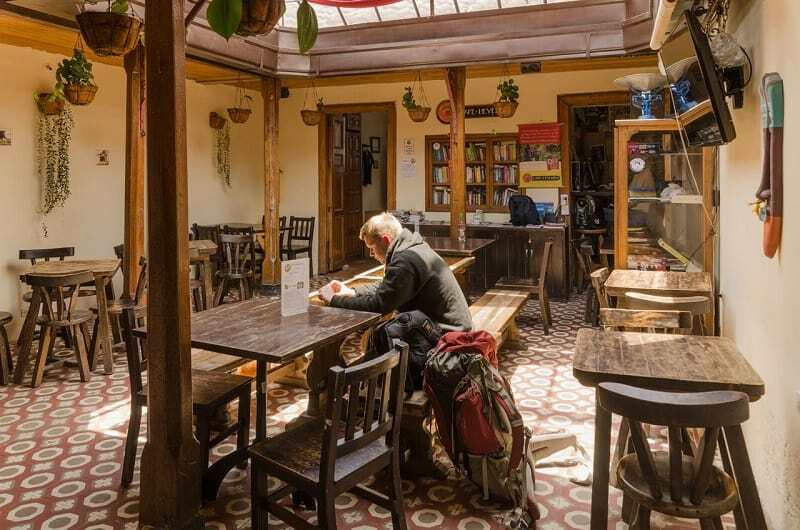 In the old Macarena neighborhood, El Pit Hostel’s bohemian atmosphere makes it a favorite with backpackers, who welcome the chilled ambiance and delicious food options. 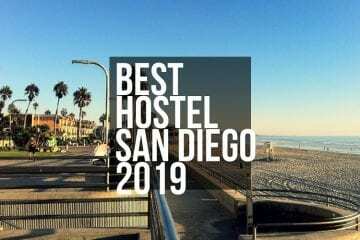 The hostel has seven sleek, clean dorm rooms, a restaurant with dishes from Colombia and other countries, and a snazzy bar with an impressive collection of liquor. There’s a TV room for watching movies or playing video games, and a computer room to keep in contact with everyone back home. There’s even an adorable dog to welcome visitors as they arrive. 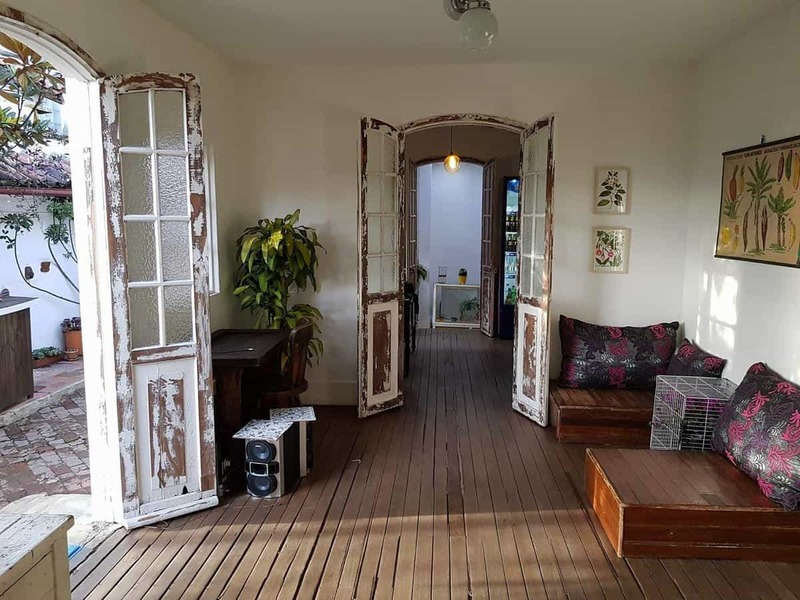 Get stuck into one of the hostel’s variety of activities: stretch your legs on a bike tour, enhance your culinary skills with a cooking class, or recenter with a yoga class. And when you need to be still, curl up in one of the reading spaces. Guests at the hostel automatically get a 10 percent discount off food and drinks at the bar and restaurant, as well as some local shops. Extra bits like electrical adaptors are available at reception, as well as hair dryers and ironing equipment too. Found in the historic Old Town of Bogotá, The Cranky Croc Hostel is close to cultural attractions, restaurants and nightlife. The stunning remodeled colonial house is a blend of traditional Colombian colors and modern touches, like the large screen TV, WiFi and multiple electric sockets for recharging your items. Relax in the sun on the patio or grab a drink at the bar and get chatting with other guests — the hostel is open-plan to encourage socializing. If you prefer quiet accommodations, the Cranky Croc is great for both a chilled stay or a fiesta. Many guests head to Zona Rosa (the club and bar region) in the evening, so the building is calm and easy to nod off in. 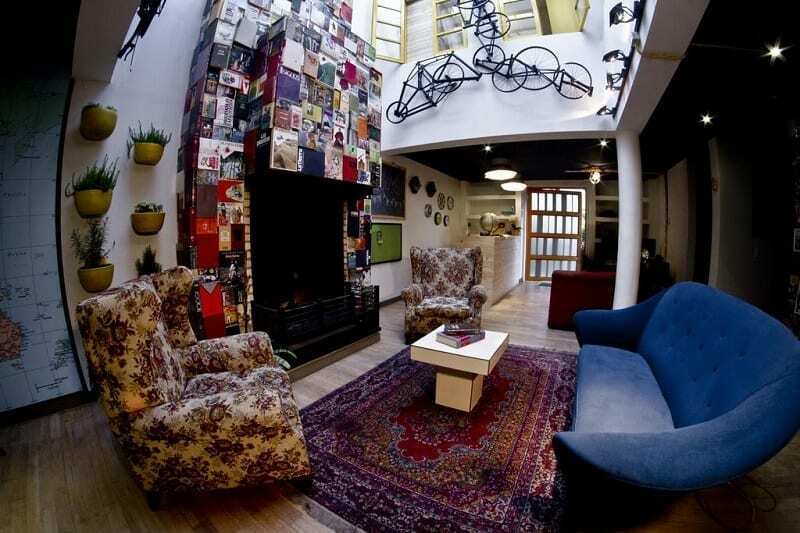 The hostel regularly hosts social events, ranging from bar crawls to board games to book exchanges. Breakfast isn’t included but there are great cafes worth visiting; there’s also a fully-equipped kitchen for visitors to cook their own meals. Other facilities include hot showers, free towels, lockers for securing bags, hooks in the dormitories, laundry and tourist information. 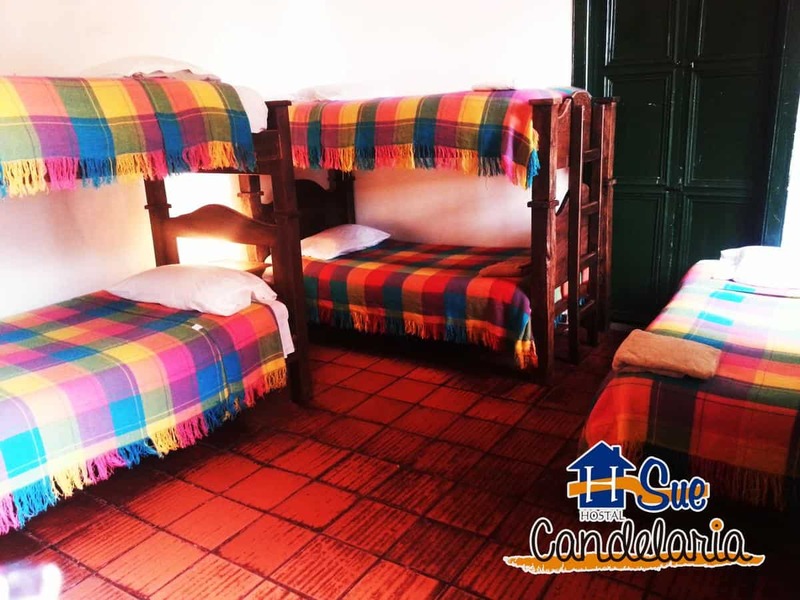 ‘Sue’ means ‘traveler’ in Chibcha, an indigenous Colombian language, and the hostel certainly understands the needs of travelers. 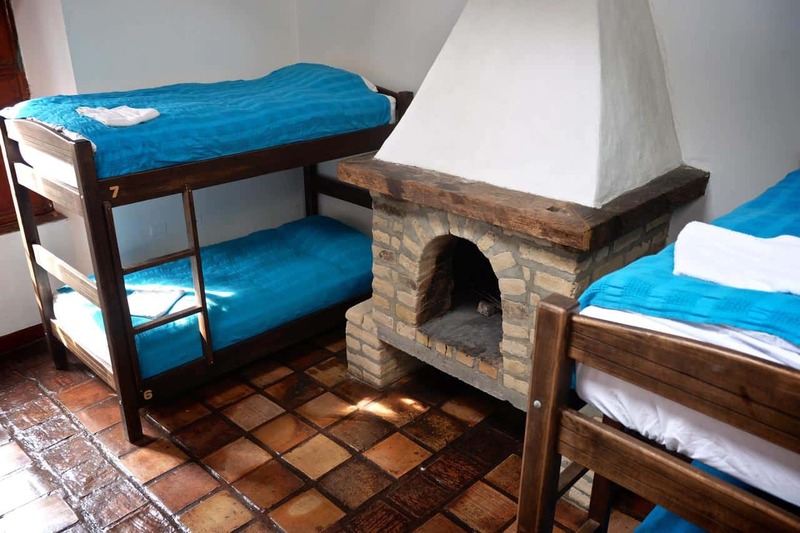 The clean and organized accommodation is perfect for solo or group backpackers. The staff speaks multiple languages and is able to give detailed local advice and recommendations about Bogotá. Guests can use the printer, make free calls to local numbers, laze around with a cocktail, and take part in various day excursions. 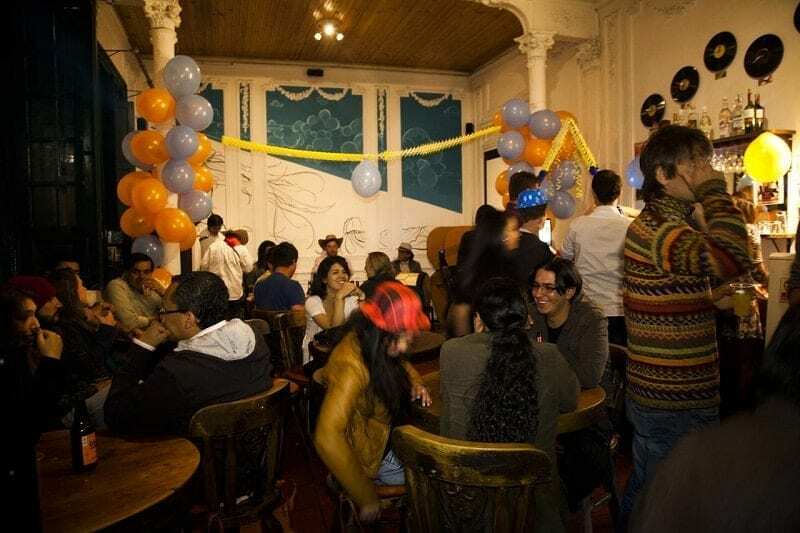 Take a tour of different flea markets in Bogotá, or climb aboard for the Sue Bus Party which takes you to La Calera mirador for fantastic views of the city, then into Zona Rosa and two of the best nightclubs in Colombia. Guests can also check out the famous sport of tejo, which consists of throwing rocks at gunpowder! 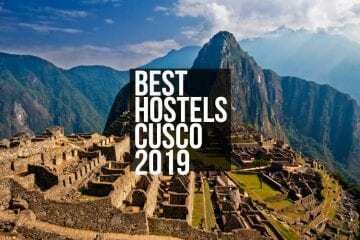 Hostel Sue Candelaria claims to have the hottest showers in South America — a luxury for any backpacker — and enables guests to practice their linguistic and Latino skills at Spanish and salsa classes every Thursday. 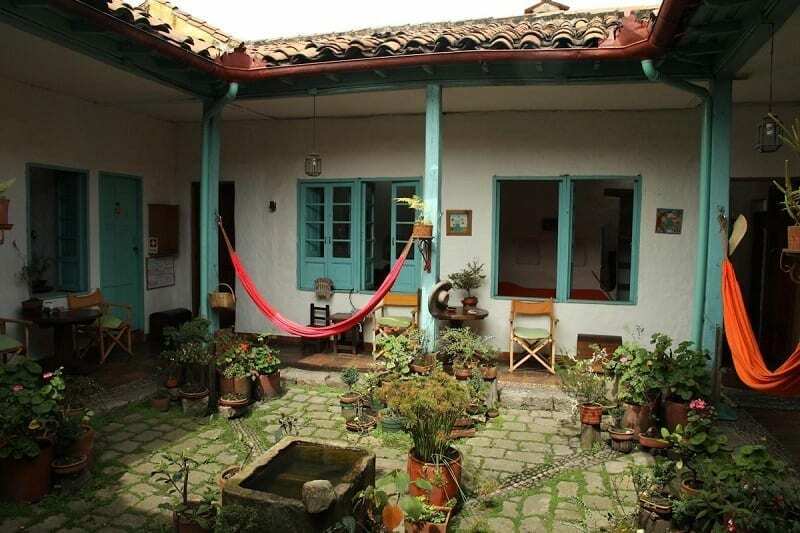 Known for its abundance of plants and tropical garden, Botanico Hostel is ideal for travelers looking for a little green in the busy metropolitan city of Bogotá. 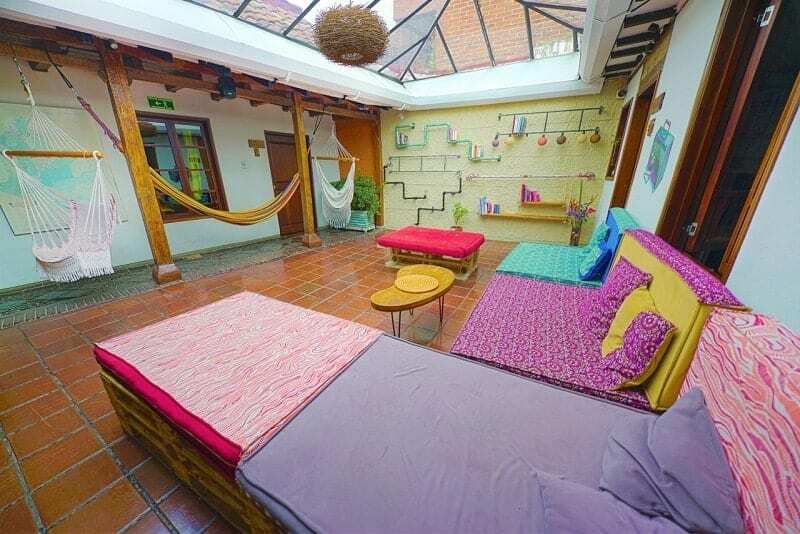 Boasting stunning views across the La Candelaria Centro neighborhood, guests can unwind with a book in the garden hammocks (or take a nap to recover from the night before). 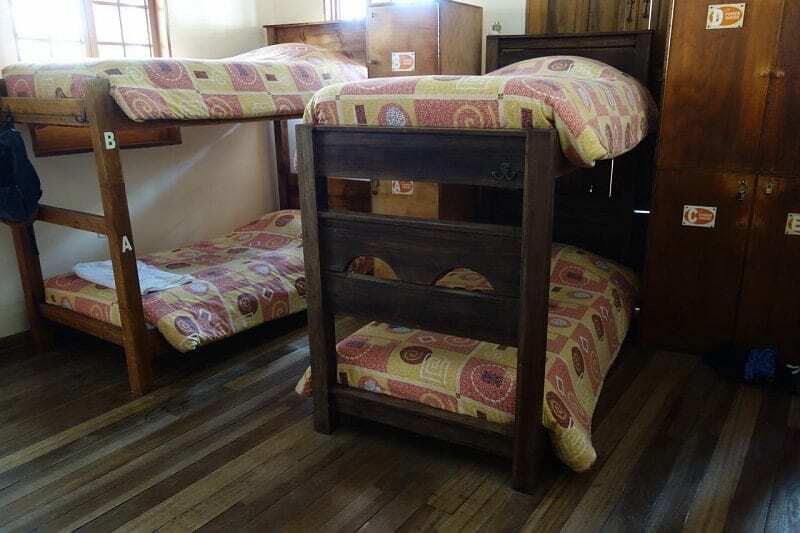 The hostel has private rooms or dorms, where each bed has an individual curtain for privacy. 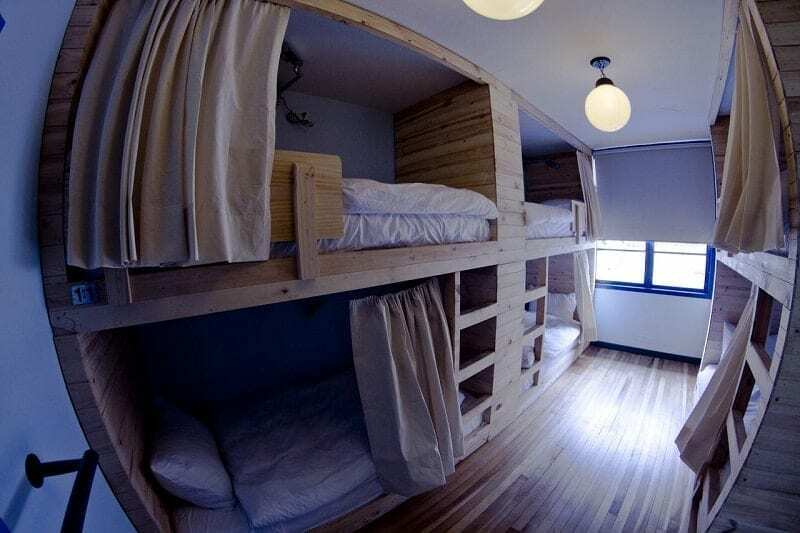 A locker and power outlet also comes with the beds, and towels and breakfast are included in the booking. There’s even free coffee available throughout the day, so caffeine-lovers can sample a true taste of Colombia. 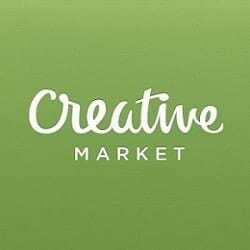 Plenty of restaurants are within walking distance, as well as artisan and fruit and vegetable markets which are great for picking up presents for friends. Nicknamed ‘la nevera’ (meaning ‘the fridge’ in Spanish) Bogotá’s temperatures can fluctuate rapidly. Botanico has a fireplace for the chillier nights, where guests can gather to talk in the cozy setting. Reception is open 24 hours a day and the staff speaks English. 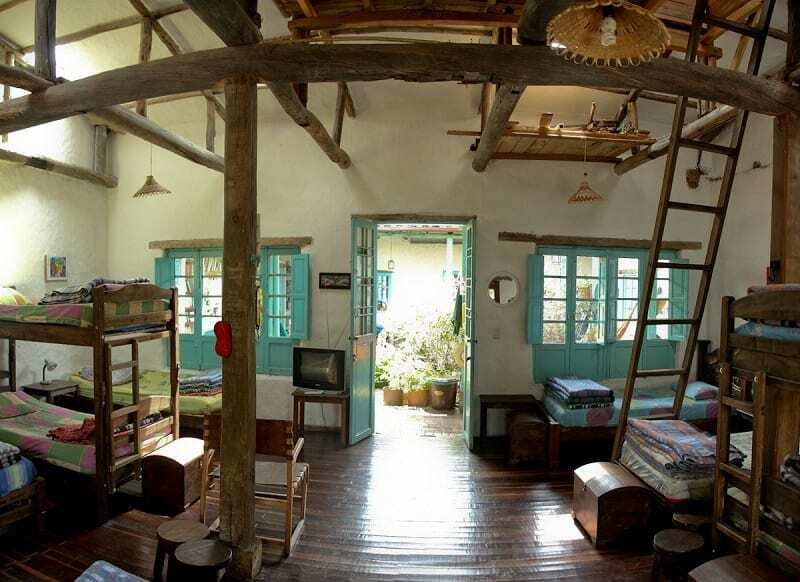 With the mantra “love all, serve all”, Anandamayi is a low cost, tranquil, hippie-esque hostel, best-suited to nature-lovers and backpackers looking to rest in Bogotá. Hammocks fill the patio, while the garden has a small waterfall and fish ponds, visited by hummingbirds from time to time. 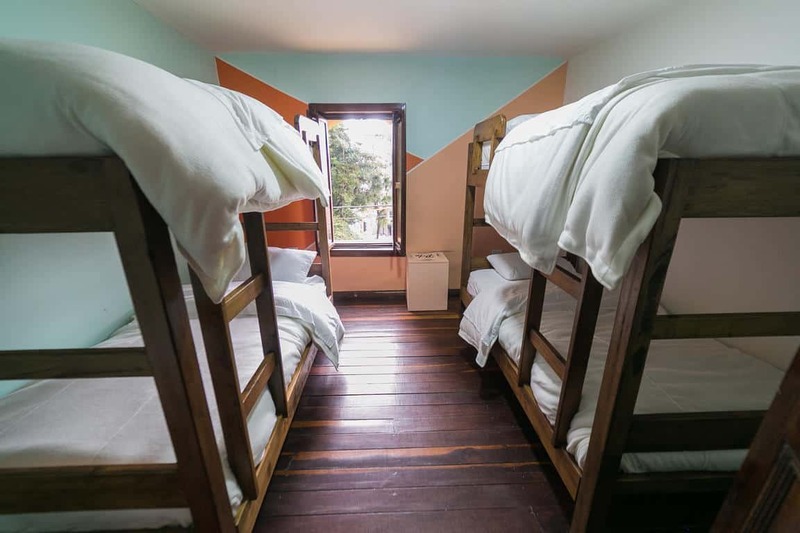 The decor is welcoming and the staff is friendly; the hostel typically attracts creatives: writers, painters and photographers looking for inspiration in Colombia’s capital. On weekends, guests can sign up for ecological treks to explore ancient roads and lavish scenery outside the city. 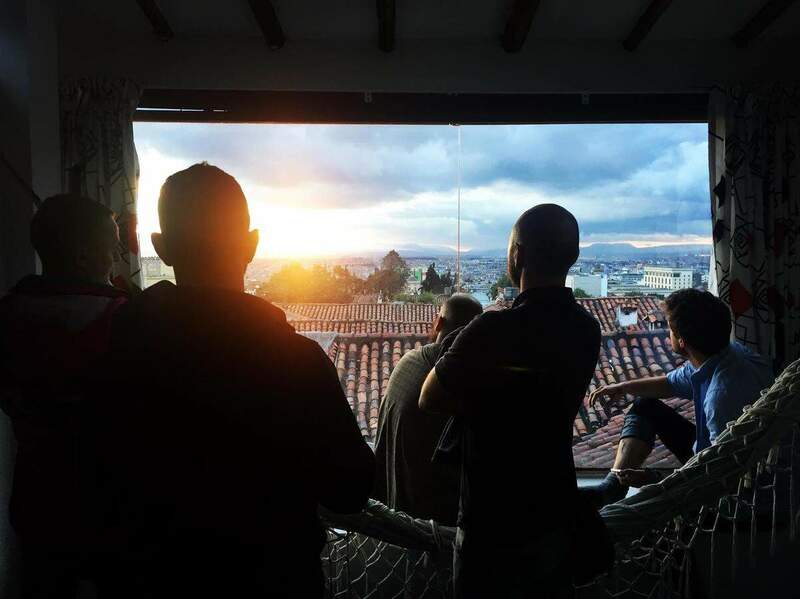 Alternatively, head up to the attic room to watch the sun rise from behind Monserrate and listen to the church bells ring out from the Cathedral. 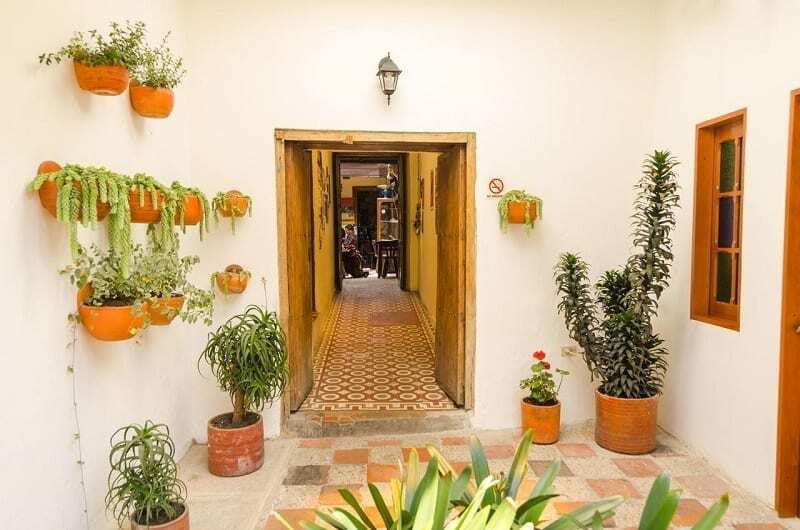 Found in the bustling La Candelaria neighborhood, Anandamayi is close to cafes, restaurants and bars. Linens and towels are complimentary, along with luggage storage. 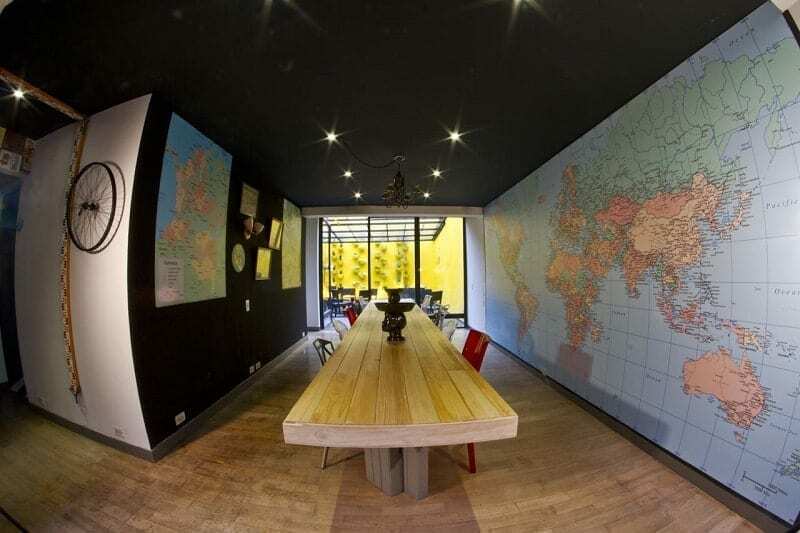 Find all these hostels and more accommodations in Bogotá on AllTheRooms.